Less than a month ago a number of keen Electric Vehicle advocates achieved a cross-country tour, travelling from Paris to Cagnes-sur-Mer, and taking a range of EVs a total of 1200 km in 4 days. An average of 300 km / day. 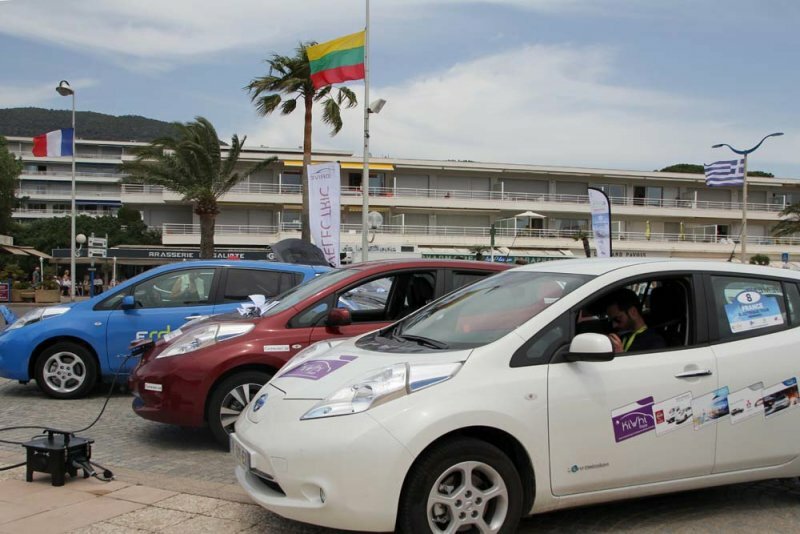 This years eco-rally organised by TVE was a fairly large affair with about 17 different organisations bringing 20 EVs, including the Nissan Leaf & ENV-200, Kia Soul EV, Tesla Model S and Renault Zoe to join the adventure. Charging logistics was high on the agenda for this event and it was interesting to learn that they opted to stop at every service station with DC rapid-charging capability along the highway instead of when they needed to - here they would charge each car for 6 mins, getting a quick top up of energy, before moving off again. This avoided longer waiting times had they chosen to stop every 3rd or 4th service station and had to charge for longer. It sounded like a very thought out plan, with overnight charging made available through grid hookups provided by ERDF. 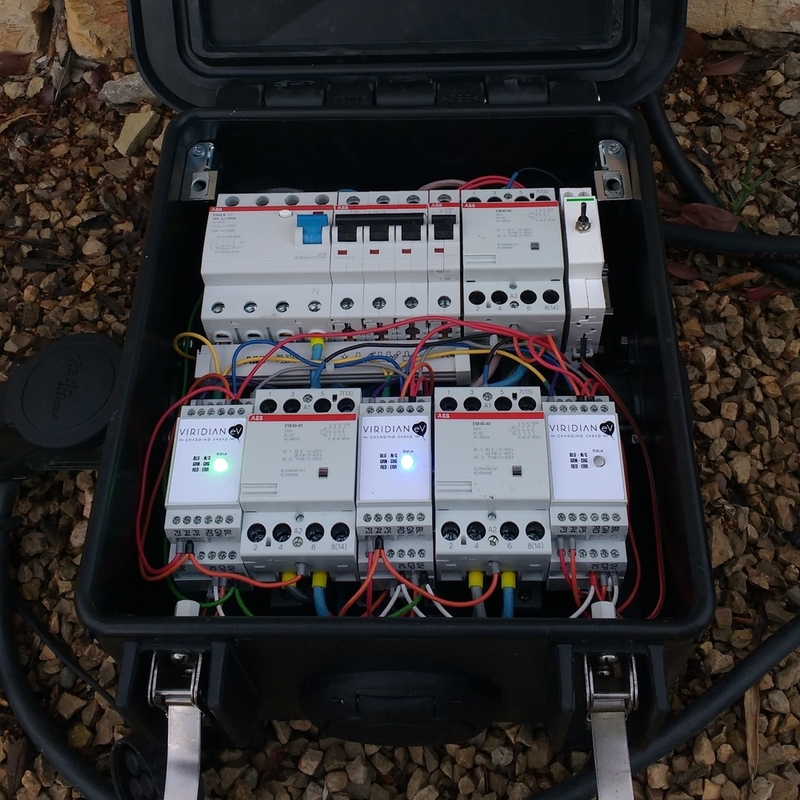 Mark's 3 x 7kW chargers with Viridian EPCs inside! These boxes were successfully used again on the Vendee Energy Tour 2016 at the beginning of this month and are set to make another appearance during the Tour Poitou-Charente in September. An interesting project put to use at some great events promoting cleaner driving in France!